Today is EARTH DAY! And I think we could all use a plate full of veggies, right? 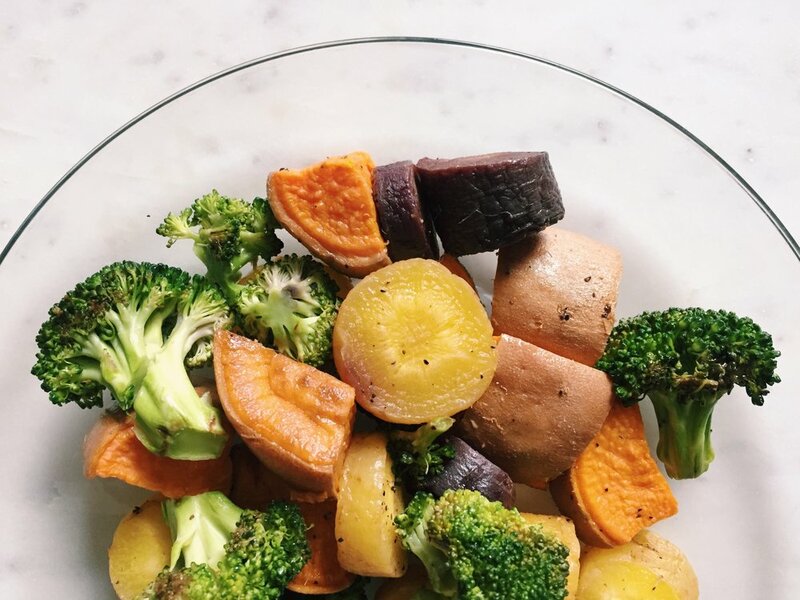 This veggie bake side dish is so good and such as easy way to pack some veggies in your lunch. And it's a step up from just good ole baby carrots. 5. Place diced sweet potatoes and carrots onto a sheet pan. Season with salt + pepper + 1/2 tbsp olive oil. 6. Bake sweet potatoes and carrots for 20 minutes, stir around on the sheet pan, and bake for an additional 20 minutes until easily pierced with fork.